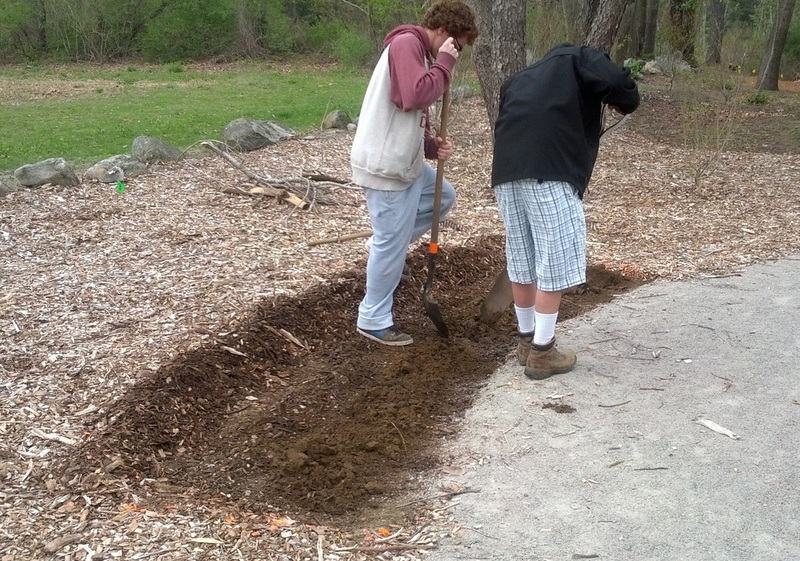 Now that spring is finally here, work has resumed on Phase One of the Playscape. 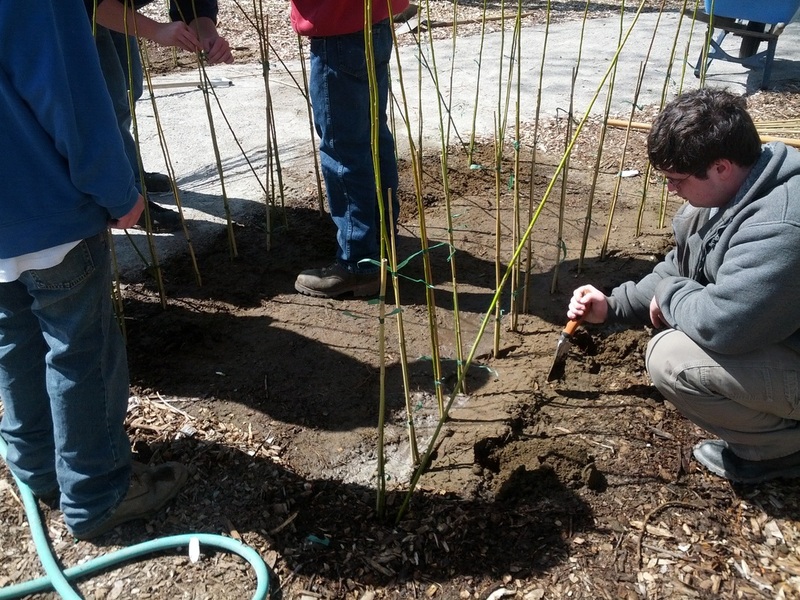 Student volunteers from Minuteman High School installed the willow tunnel at the site this month. 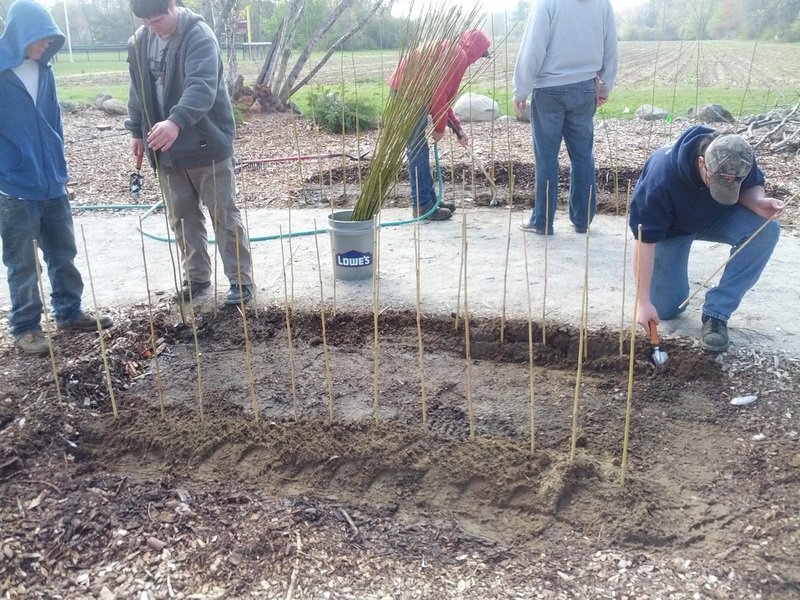 Willow reeds root quickly, and the new tunnel will soon become a living piece of the Playscape, changing with the seasons. 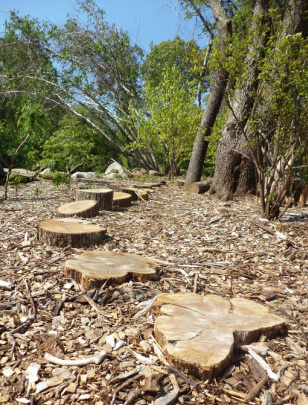 The path made from "tree cookies" is also now in place. Clicking on a photo will open a larger version in a new window. Photos on this page courtesy of Sarah White, Minuteman Technical High School, and Jennifer Saxe, Friends of the Playscape at Ripley. 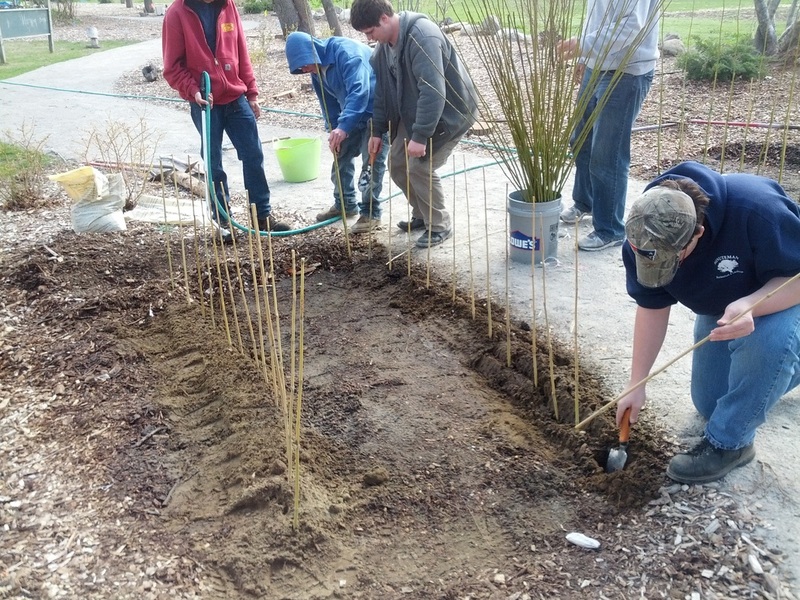 The beginnings of the double willow tunnel -- the larger tunnel will grow over the path and be large enough for an adult to walk comfortably under it, while the smaller tunnel next to it will be for the Playscape's smaller visitors to go through. The smaller side tunnel starts to take shape. Digging the trench for the willow reeds. Above and below: Placing the reeds in the trench. 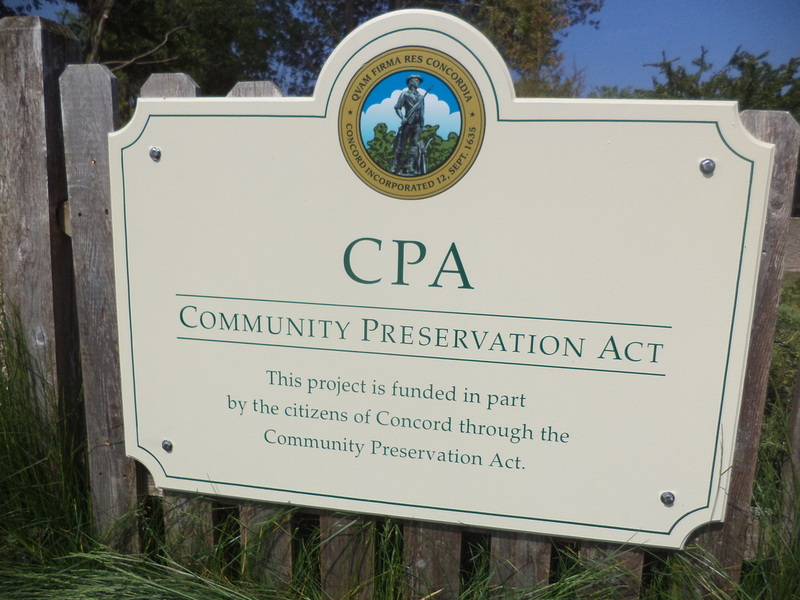 Our CPA funding sign has just been installed, demonstrating the support that the Playscape has received from the town and the citizens of Concord. 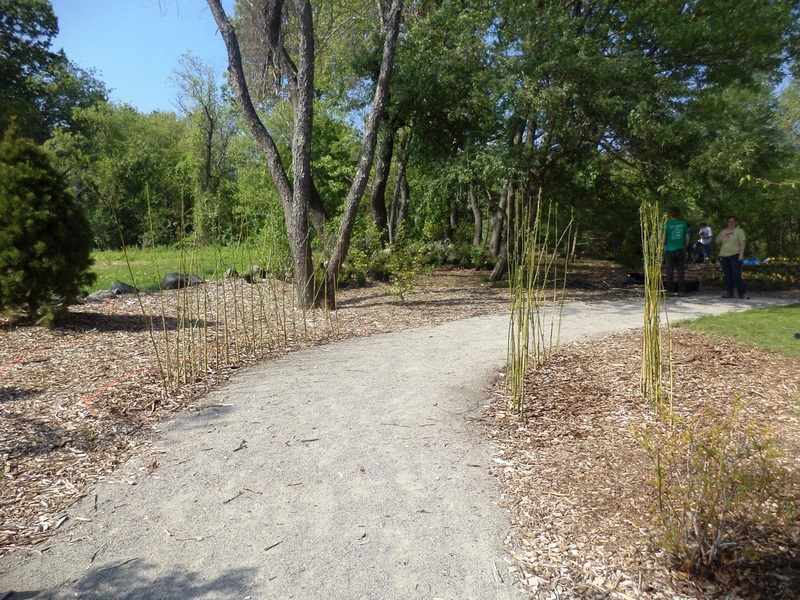 Right: The new path made from tree "cookies"